Keep tabs on the temperature of your Mustang Cobra IRS differential fluid with this Maximum Motorsports kit. This MM kit is designed to allow installation of a temperature sensor with the MM IRS Differential Oil Cooler Kit (OC-10). This MM In-Line Differential Oil Temperature Sensor Kit allows you to choose where you want to locate a temperature sensor, giving you the freedom of measuring temperature values that are important to you; you can check on the temperature of the fluid either entering or exiting the cooler. 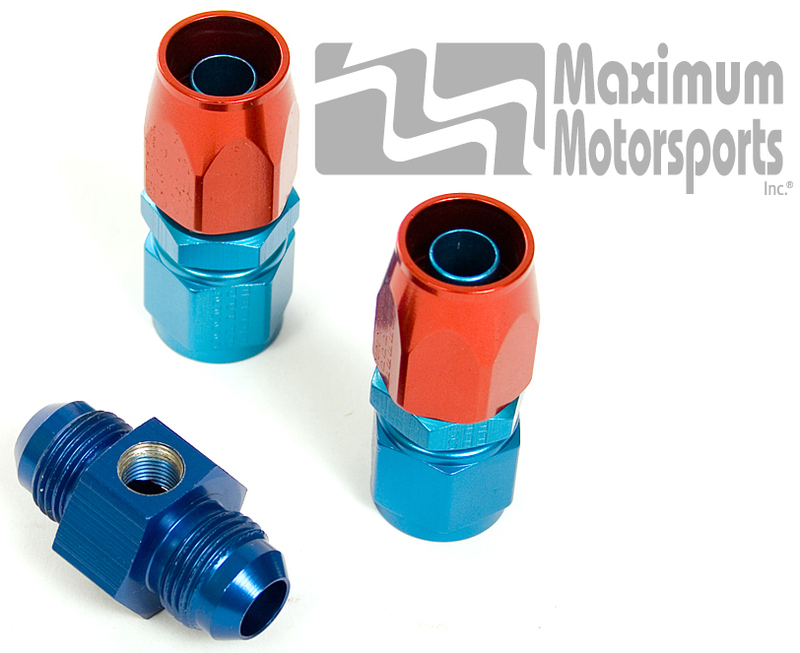 When properly installed, the high quality AN fittings provide leak-free performance. The MM In-Line Temperature Sensor Kit will only work with an Autometer 1/8" temperature sensor: Autometer part number 2252. This kit does NOT include a temperature sensor. Purchase the sensor from your Autometer gauge supplier.